I discovered at an early age that things fall apart. And things do fall apart in a beehive. Maybe I was two or three years old. So what? Don't expect me to post nauseating dithyrambs on Twitter nor build a statue to a critic. Push me again, dear. It's just like flying. 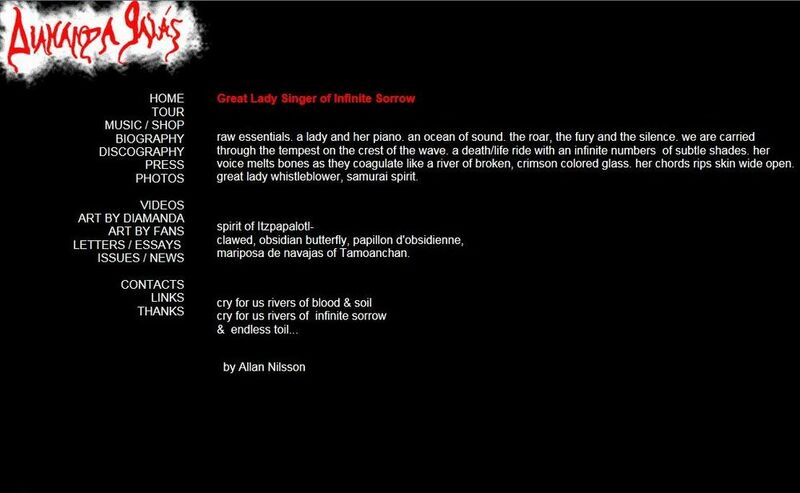 When Diamanda wanted my humble token of appreciation to be published on her [old] website, I felt immensely proud and honored. I kiss your beautiful soul, my lady!